Like the crowds we have gathered here to hear the message of Jesus. Like those crowds we have gathered here to be fed from his hands. Like on that hillside, Jesus takes our loaf, gives thanks to the Father, and gives it to all of us who are sitting around ready to be fed by him. Like on that hillside, we know that this food with which he feeds us is precious, and that it is the food for the whole world. Like those people who acclaimed him as 'the prophet who is to come into the world', we acclaim him as our priest, our prophet, and as our king – not a king whose kingdom belongs to this world, but as the king who presents the kingdom of truth and life to our Father in heaven. This famous chapter of John’s, which presents Jesus as the Bread of Life, starts with the story of the miraculous feeding of the people by Jesus. Take the story very slowly, watching how it unfolds and stopping at whatever point you find touches you. * Verses 1-3: The stage is set. Jesus takes up his position on the other side of the sea, sitting on the hillside with his disciples. He lets the people come to him of their own accord. * Verses 10-12: The miracle of the feeding. * Verse 13: The command to pick up the scraps, which has its own deep symbolism. * Verses 14-15: The confrontation between Jesus and the people. Right through the story you will find yourself identifying either with Jesus or with the people. Jesus is the great leader and teacher; the people are symbolic of ourselves being led to experience grace in a deep way, with the blessing that this implies and also the wrong responses that we easily fall into. The dialogue between Jesus and the apostles is also very significant, and you may want to focus on that aspect of the story. * we returned to confession and the Eucharist after a long break. It was a journey you led us on, as you led the people in the wilderness. several people we knew had turned to you and found new meaning to their lives. but you knew exactly what you were going to do. in fact, we had enough to fill countless hampers with the leftovers. Lord, we pray for parents who see their children following Jesus into new places. worrying about where the children will get bread to eat, how they will make a living, or raise their families, or enjoy their recreation. you know exactly what you are going to do for the children. Lord, often leaders don’t believe in their people. and, of course, there is never enough even to give them a small piece each. and they would even pick up leftover scraps to fill twelve hampers. Lord, we thank you for our parents, teachers, those who have guided us. like Jesus sitting on the hillside with his disciples. They tested us, as Jesus tested Philip when he knew exactly what he was going to do; and they waited for us to see the way forward, as Jesus waited for Andrew to point out the little boy with the five barley loaves and the two fish. so that nothing gets wasted. We thank you for those who taught us this deep truth. and we want to take them by force and make them king. But they always escape from our grasp. and we cannot possess you. and there climb a hillside to be alone with our companions. we will be able to escape back to the hills by ourselves. engage in this activity of celebrating the Eucharist? Giving thanks to the Father, in union with Jesus, while being empowered by the Spirit, is an activity: how well do we do this as the group of disciples who form a church here each Sunday? These are important questions for us. So, over the next five weeks we are going to be reading passages from St John’s gospel on the Eucharist, and these will challenge us to reflect on what we are doing when we gather, why we are gathering for this meal, and how well we are celebrating it. Let us reflect that we are gathered in the Holy Spirit, and about to celebrate the Lord’s meal, and with him offer thanks to the Father. 1. Today is not a day for ‘giving’ a homily, much less ‘preaching’ — both assume an agent (the speaker) and an object (those who are spoken to). Rather, this is a day for trying to create a mood of just settling back and reflecting on what we are doing. What we are doing by gathering each Sunday, what we are doing when we celebrate the Eucharist, what we are doing as God’s People. We gather here each Sunday — this is the day when we recall the resurrection of Jesus; it is for us the first day of the week. At this gathering we always recall something of our Lord’s life and teaching. This takes the form of reading a part of one of the four gospels — and today we are going to read from the gospel written by John. Then we gather around the Lord’s table for the meal of the Lord, when we give thanks through Jesus to the Father over the gifts of bread and wine. Then by sharing those gifts we are transformed into the Body of Christ. This is what Christians have done since the very beginning, and were doing this even before the gospels were written down. Today we recall a story told by John at a gathering for the Eucharist on a Sunday over 1900 years ago. John knew that when the gathering heard the story it would help them understand the sacred dimension of the meal they celebrated together each week. We will now read that story. Like those people who acclaimed him as ‘the prophet who is to come into the world’, we acclaim him as our priest, our prophet, and as our king – not a king whose kingdom belongs to this world, but as the king who presents the kingdom of truth and life to our Father in heaven. For the next five Sundays we set aside our reading of the gospel of Mark to devote attention to John 6 and the Bread of Life discourse. The fourth gospel differs from the others in many respects and one is the way in which the evangelist teases out the implications of Jesus’ actions through long discussions in which the participants are being asked to consider in depth the symbolism behind his deeds. The multiplication of the loaves and fishes is the only miracle story that John shares with the other gospels, though he calls them signs because of his desire to highlight not so much the power of Jesus but his identity. The signs point to who he is as the one sent by the Father. John’s account of this differs in some small ways. He tells us these events take place just before the feast of Passover and thereby invites us to make a connection with that founding story of the Israelites when God fed them in the wilderness. He also notes that the boy brings five ‘barley loaves’ which was the bread of the poor. Finally, we are told that twelve baskets of scraps are gathered up so that nothing may be lost. Here it is possible to see a symbolism referring to Jesus’ desire to gather to himself the new people of God. It is not given to us to perform miracles like Elisha and Jesus but perhaps that is as it should be. In a world where there is so much need, we have a great deal to give. It may not seem like much to us but when it is shared it becomes more than we can ever imagine. A hungry old woman prayed for food. Her atheist neighbor put bread and fish outside her door. She thanked God aloud. Her neighbor derisively shouted, "It was me and not your God who put food there." She replied, "Thank you, Jesus. You never fail me even if you have to use a devil to work a miracle." The hero of today's tale is a Hall of Fame Jewish child. Only Norman Rockwell could do him justice. The boy is the rarest of individuals - a person who gives away everything he possesses. Our attention of course is drawn to the Christ distributing all those fresh rolls and seafood. But reflect where He got the food that made the miracle a fact. First the dramatis personae! John speaks of 5,000 men. But even then women were not about to let husbands wander by themselves over the countryside unattended. So, one can be certain there were women and children in attendance. We are talking about 15,000 people. St John lays himself open to the charge of being a chauvinist. He obviously did not think women were important enough to mention. Yet the record down through the centuries shows women more faithful to Jesus than men. 15,000 people tell you what socko box office appeal the Master possessed in His own lifetime. Though 2,000 years later He still remains an enigma wrapped in a mystery, He has not lost His touch. He is bringing many millions together around the globe each week to worship Him. You do get the feeling that He is here to stay, don't you? It is the Christ who mentions that this exhausted mob must be hungry. Once again, He proves He is interested not only in life after death but also life before death. He wants every mother's child of us to have three full meals in the here and now. He wants nobody to go to bed hungry. The Master, like any Chief Executive Officer, wants His employees to be problem solvers. But only Andrew has the smarts to work the crowd looking for food. He finds that nameless child. Better said, the boy finds Andrew. He shouts to him, "Hey, mister, come here." He rips out of his chino pockets five thoroughly squashed slices of bread and two suspicious looking fish. This was to be the boy's own lunch. Let the record show the kid was giving not out of his surplus but all he had. Joseph Donders pictures the child checking the Nazarene out with open mouth and running nose. Wily Andrew does not want to hurt the boy's feelings. He takes the unattractive morsels over to Christ. To the boy's mortification, the mob laugh up a storm at him. But not so the Christ! He accepts the boy's gifts with proper ceremony and gratitude. He invites His guests to draw up a seat on the grass. This is a crowd who not only looks for something for nothing but also want it gift-wrapped. Only that kid remained on his feet. His eyes were large as dinner plates. He was wondering what this strange Man with the massive hands was going to do with His lunch. The Master tells His people to share the boy's gifts among the humungous crowd. They look in disbelief at the soggy pieces of bread and convincingly dead fish. They ask, "Master, are you pulling our leg?" Their Employer retorts somewhat hotly, "Who's running this show?" They share till every belly on the field was full with fish sandwiches. The Nazarene took the boy's squashed slices and turned them into WONDERBREAD. I have a hunch too that He winked at the child. The twelve leftover shopping bags I wager He gave to the child as a gift. One hopes he had a buddy along to help him. I would not be at all surprised if Jesus held up the boy in His arms for all in the crowd to see. Had a TV anchor person been there, he would have recorded Him saying, "I want all of you to be as generous as this child." The next time you are asked for something you feel you cannot give, remember this Jewish boy and think again. Even if your gift is small, Christ will make it grow. There would have been one great deed fewer in history, William Barclay says, if that boy had hoarded his gift. Once again, as the psalm puts it stylishly, a child will lead us. But will we adults have the smarts to follow him? Once I heard a man say. "When I worry about money, I know I haven't been giving enough away." 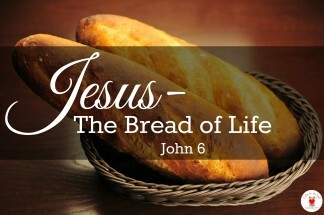 Today the lectionary interrupts the semi-continuous readings from Mark’s Gospel for a five-week reading of Chapter 6 from the Gospel of John – the “bread of life” discourse of Jesus. The miracle of the feeding of the multitude with a few loaves and fish is the only miracle recorded in all four Gospels. This story was cherished by the first Christians for whom the Eucharist was becoming the center of their life together. Jesus’ actions are indeed “Eucharistic”: bread (and fish) is given, Jesus gives thanks (the word used in the Greek text of Mark's Gospel is eucharisteo), breaks the bread and the community feasts. The multiplication of the loaves and fish did not start with nothing; Jesus was able to feed the crowds because a little boy was willing to share all he had; from his gift, small though it was, Jesus worked a miracle -- and a new community of faith was formed as a result. We are called by Christ to become the Eucharist we receive at this altar: giving thanks for what we have received by sharing those gifts -- our talents, our riches, ourselves – to work our own miracles of creating communities of joyful faith. The scene on that grassy plain mirrors the gathering at this table today. In the miracle of the loaves and fish, Jesus transforms a crowd of all ages, talents, abilities and backgrounds into a community of generosity. That vision of being a Eucharistic community is re-created each time we gather here. Eucharist is possible only when self defers to community, only when serving others is exalted over being served, only when differences dissolve and the common and shared are honored above all else. One of the great early summer rituals in many towns is the church rummage sale. For weeks, cars pull up to the parish house, disgorging cartons that could contain anything from children's books to an orphaned pair of crystal sherry glasses. Patiently, volunteers sort out the items and generously underprice each one. On the day of the sale, the whole town swarms in. A friendly sort of frenzy surrounds the tables – there is as much greeting and joking as shopping. But just about everyone finds something: the discriminating collector discovers a special volume among the crates of books, a young couple finds the perfect table for their guest room, a family scoops up next winter’s ice skates. Giving to the rummage sale satisfies that thrifty streak that many of us possess that can’t bear to throw out anything usable – especially in this economy. It encourages us to excavate closets and toss out what we no longer can use or have grown tired of. There is also something wondrous when someone looks with fresh eyes on a nicely framed print or pottery piece that we had exiled to the basement a long time ago. In exchange, we might seize upon a weathered old table or bureau that a neighbor saw as garage clutter but that we can transform with a little hard work and paint. But on Rummage Sale Saturday, we do more than bargain-hunt. Everyone donates, almost everyone totes something home, and the proceeds help the church community. In a world of waste, of leftovers choking the planet, the time-honored ethic of the rummage sale is a responsible and fulfilling experience. In giving and receiving from others, the dynamic of the church rummage sale can also be a powerful confirmation of our belonging to one another as a community. The real miracle in today’s Gospel is Christ’s transforming a multitude of people into a community of sharing -- all begun by one boy’s giving the little he had. The multiplication of the loaves and fish did not start with nothing: Jesus was able to feed the crowds because one boy was willing to share what little he had; from his gift, small though it was, Jesus worked a wonder. Eucharist is possible only when self defers to community, only when serving others is exalted over being served, only when differences dissolve and the common and shared are honored above all else. In the Eucharist of Christ, the humble Servant-Redeemer, we seek to become what we receive: one bread, one cup, one body, one family. Anecdote #1 “No my son, the pigs of my village don’t pray before meals!” Monsignor Arthur Tonne has a funny story on today’s gospel lesson. A village farmer stopped at a restaurant in the nearby town and sat near a group of young fellows who were acting up, shouting at the cook and heckling the waitress. When his meal was set before him the old farmer bowed his head to offer a prayer. One of the smart-alecks thought he would have some fun with the old farmer. So he shouted in a loud voice that could be heard by everyone, “Hey, Pop, does everyone do this where you come from?” Calmly the old man turned towards the lad with an innocent smile and replied in an equally loud voice: “No son, our pigs don’t.” Today’s gospel tells us that before feeding the five thousand Jesus took the loaves of bread, gave thanks (to God his Father) and distributed them. Anecdote #2 A bag of rice to share: From her personal experience, Mother Teresa relates a story showing how the poor are more generous than the rich because they have experienced hunger and poverty. Learning of a poor Hindu family in Calcutta who had been starving for many days, Mother Theresa visited them and brought a big parcel of rice to the mother. She was surprised to see how the mother divided the rice into two equal portions and went out with one bundle to give it to her Moslem neighbor. When she returned, Mother Theresa asked her why she had done such a generous deed. The woman replied: “My family can manage with half the rice in this bag. My neighbor’s family has several children and they are also starving." 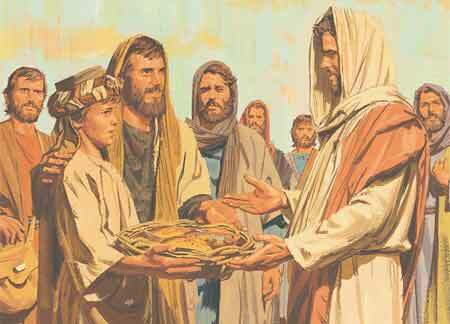 Today’s gospel tells the story of a small boy who showed this same kind of generosity. By sharing his small lunch (which consisted of five slices of barley bread and two pickled fish), he became the instrument of a miracle in Jesus’ hands. Anecdote #3 “I wish I could be a brother like that:” Paul had received a special pre- Christmas gift from his rich brother. It was a beautiful new car - fully loaded and ready to go. On Christmas Eve, when Paul came out of his office, a street kid was walking around the shiny new car, admiring it. "Is this your car, mister?” the kid asked. When he replied that it was and that his brother had given it to him for Christmas, the boy said, "You mean your brother gave it to you, and it didn't cost you anything? Free? For nothing? Gosh, I wish..." The boy hesitated, and Paul knew what he was about to say. He had heard it many times over the past few days. He was going to wish he had a brother like that. But what the boy said shocked Paul. ”I wish", the boy said, "I wish I could be a brother like that." We can be a brother like that or a sister like that. All it takes is that we offer ourselves and what we have, to God. All it takes is that we cease to worry about how little we have and begin instead to think about what it is that we can offer to others, as the little boy in today’s gospel story did by sharing his bread and fish with the multitude through Jesus. (“Chicken Soup” series). Anecdote #4 Sharing everything: A young man saw an elderly couple sitting down to lunch at McDonald's. He noticed that they had ordered one meal, and an extra drink cup. As he watched, the gentleman carefully divided the hamburger in half, counted out the fries, one for him, one for her, until each had half of them. Then he poured half of the soft drink into the extra cup and set that in front of his wife. The old man then began to eat, and his wife sat watching, with her hands folded in her lap. The young man decided to ask if they would allow him to purchase another meal for them so that they didn't have to split theirs. The young man then asked the wife if she was not going to eat, and she replied, "It's his turn with the teeth." I love the story of a Christian missionary hiking the high Andean trails to a remote village in Peru. He found a rock along the road, a curious geode, and put it in his backpack as a souvenir. That evening he strode into the village to a very unfriendly welcome. No one offered him a bed. No one asked him to sit by their fire. He learned that a famine had plagued the Indians for over a month. And the people were starving. Each was simply afraid to share amidst so much deprivation. Praying to Jesus how to help them, he got an idea. Calling the Indians around a campfire he preached God's loving care in Christ. Then he said, "I'm going to feed you by making some stone soup. Yummm! It's tasty! I grew up on it! And you'll like it just fine!" Then he opened his backpack and produced the rock he'd found that morning. The Indians scoffed, "Stone soup! Why that's the stupidest thing I've ever heard!" "Trust me," the missionary assured them. "See! I've brought the stone. But I'm going to need a pot to put it in." An Indian woman quickly volunteered her pot. "And I'll need about two large buckets of water to boil the stone in." A man, shaking his head, brought the water. So, in went the stone, in went the water, and over the fire the pot was suspended. Curious now, the villagers began to gather around the pot, peering into its contents. The missionary began to stir the pot and drool. "You know, stone soup sure is good with carrots!" To which an Indian said, "I've got six carrots!" He quickly fetched them and they were cut up into the pot. Then the missionary smelled deeply of the bubbly broth and sighed, "Some potatoes sure would add to the flavor." From pockets and other hiding places came dozens of spuds. They were quickly added to the soup. Soon people were bringing onions, celery, and bits of meat to top off the pot of stone soup. And within the hour a community was formed around that stew pot. All ate. And all were filled and they heard the story of Jesus Christ. Believe John 6:1-14 as a miracle of Jesus in multiplying the bread and fish, if you will, or believe Jesus' miracle in the selfish human heart causing the multitudes to share. But above all, remember this: The next time you see a need or feel inadequate, don't look at the hillside, look in the basket. Don't count the difficulties presented. Look at the resources possessed. Don't measure your problems. Measure God's power! I am sure you are familiar with the amazing story of the migration of the monarch butterfly, a lovely little creature who blesses our gardens and forests in the summer. Every autumn, millions of monarchs from all over the eastern United States and Canada migrate thousands of miles to a small handful of sites in Mexico where they rest for the winter. Then in the spring, they begin their return trip to the north. The amazing thing is that no individual monarch ever makes the trip to Mexico and back. A butterfly that leaves the Adirondack Mountains in New York will fly all the way to Mexico and spend the winter. In March, it begins the trip northward, but after laying eggs in the milkweed of Texas and Florida, it will die. Those butterflies will continue northward, laying eggs along the way until some of them, maybe three or four generations removed from the original, make it back to mountains of New York. But when August comes, they will head south, aiming for the exact place their great grandparents visited, a place they have never been. Sue Halpern says: "The monarchs always migrate in community and depend on each other. Although a single monarch may make it from New York to Mexico, it is the next generation who completes the journey." Now here is the word for the church. She says: "No one completes the journey solo. It is only as a community that we discover the fullness of God's plan for us." You may know the famous story of Jean Henri Fabre, the French naturalist, and his processional caterpillars. He encountered some of these interesting creatures one day while walking in the woods. They were marching in a long unbroken line front to back, front to back. What fun it would be, Fabre thought, to make a complete ring with these worms and let them march in a circle. So, Fabre captured enough caterpillars to encircle the rim of a flowerpot. He linked them nose to posterior and started them walking in the closed circle. For days they turned like a perpetual merry-go-round. Although food was near at hand and accessible, the caterpillars starved to death on an endless march to nowhere. That seems to be the story of many people today. They are on a march that leads to nowhere. We need to stop for a moment, and sit down in the presence of Jesus. Then we need to receive what Christ has to offer us, just as the multitude received the loaves and fish. A hungry old woman prayed for food. Her atheist neighbor put bread and fish outside her door. She thanked God aloud. Her neighbor derisively shouted, "It was me and not your God who put food there." She replied, "Thank you, Jesus. You never fail me even if you have to use a devil to work a miracle." Once upon a time a young man made a retreat. As a kid he’d been a bully, but he gave that up quickly because his priest had told him it was wrong. On the retreat however he remembered that he had teased a skinny little girl about her buck teeth and her glasses. She cried every time he teased her, and then whenever she saw him. He really liked to see her cry. Then she and her family moved away and he grew out of his teasing phase, about which he quickly forgot. However, on the retreat the nun who gave the conferences talked about bullies. That conveniently repressed phase of his life came back and horrified him. He felt terrible. How could he have been such a jerk. The poor little kid. He might have ruined her life. He talked to the nun about. Typical boy behavior she observed. But I stopped doing it. I grew up. I haven’t been a bully for a long time. Will God forgive me? Yeah, probably said the nun, but I’m not sure about the little girl. He went home from the retreat really upset. He had done a terrible thing. He had to find the little girl and apologize. I heard about a little boy who got into a heated argument with his sister about who was going to get the last biscuit (cookie, brownie), and his mother overheard this discussion and came in to try to resolve the fuss. Her two children, both extremely upset, each wanted that last brownie. So sensing the opportunity to teach a deeper spiritual truth, the mother looked at her children and asked that very relevant question..."What would Jesus do?" Well, that little boy immediately answered, "That's easy. Jesus would just break that brownie and make 5,000 more!" 1)"You give them something to eat." The gospel story teaches that Jesus meets the most basic human need, hunger, with generosity and compassion. Today’s readings also tell us that God really cares about His people and that there is enough and more than enough for everybody. Studies show that the world today produces enough food grains to provide every human being on the planet with 3,600 calories a day, not counting such foods as tuber crops, vegetables, beans, nuts, fruits, meats, and fish. Over the past twenty five years, food production has exceeded world population growth by about 16%. This means that there is no good reason for any human being in today's world to go hungry. But even in a rich country like U.S.A., one child out of five grows up in poverty, three million people are homeless and 4000 unborn babies are aborted every day. “The problem in feeding the world’s hungry population lies with our political lack of will, our economic system biased in favor of the affluent, our militarism, and our tendency to blame the victims of social tragedies such as famine. We all share responsibility for the fact that populations are undernourished. Therefore, it is necessary to arouse a sense of responsibility in individuals, especially among those more blessed with this world’s goods.” (Pope John XXIII, Mater et Magistra (1961) 157-58). 2) We need to commit ourselves to share with others, and to work with God in communicating His compassion. It is too easy to blame God, too easy to blame governments, too easy see these things as other people's problems. They are also our problems. That is the meaning of the Eucharist we celebrate here today. In other words, as Christians we need to commit ourselves to share what we have with others, and to work with God in communicating his compassion to all. God is a caring Father and He wants our co-operation to be part of His caring for all of us, His children. That’s what the early Christians did, generously sharing what they had with the needy. They were convinced that everything they needed to experience a fulfilling life was already there, in the gifts and talents of the people around them. People of our time have to be encouraged to share, even when they think they have nothing to offer. Whatever we offer through Jesus will have a life-giving effect in those who receive it. We are shown two attitudes in the Gospel story: that of Philip and that of Andrew (John 6:7-9). Philip said, in effect: "The situation is hopeless; nothing can be done." But Andrew's attitude was: "I'll see what I can do; and I will trust Jesus to do the rest." Let us have Andrew’s attitude. 3) God blesses those who share their talents, with loving commitment. This is illustrated by Mother Teresa who went to serve the slum dwellers of Calcutta with just twenty cents in her pocket. When she died forty-nine years later, God had turned those original twenty cents into eighty schools, three hundred mobile dispensaries, seventy leprosy clinics, thirty homes for the dying, thirty homes for abandoned children and forty thousand volunteers from all over the world to help her. We can begin our own humble efforts at "sharing" right in our parish by participating in the works of charity done by organizations like the St. Vincent DePaul Society, the Knights of Columbus and so many other volunteer groups. We may say, “I do not have enough money or talent to make any difference”. 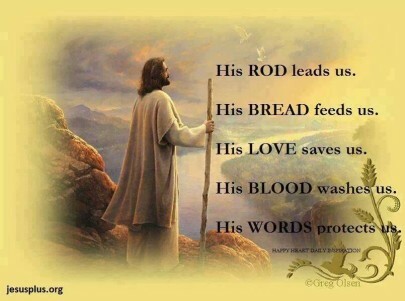 But we need to remember that the small boy in the story had only five loaves of bread and two fish. The Bible guarantees that every believer has at least one gift from the Holy Spirit. This is our one “tiny fish”. Perhaps “our fish” is not money, but it is the talent or an ability that God gave us. We all have something. If you have never trusted God with your time, or your talent, or your treasure...all your resources...this is the time to start. Let us offer ourselves and whatever we have to God saying, “Here is what I have Lord; use it.” And He will bless it and amplify it beyond our expectations. When we give what we have to God, and we ask Him to bless it, it is then the miracle happens. We, too, can perform wonders in our own time and place, by practicing the four "Eucharistic verbs” of Jesus: Take humbly and generously what God gives us, bless by offering it to others in God’s love, break from our own needs and interests for the sake of others, give with joy-filled gratitude to God who has blessed us with so much. The first reading from the second book of Kings tells of the prophet Elisha, during a time of famine. Elisha was offered twenty loaves of barley and fresh ears of grain. Elisha said: "Give it to the people and let them eat." But his servant objected. "How can I set this before a hundred people?" But Elisha repeated, "Give it to the people and let them eat." And they ate and had some left. This little known story of Elisha is full of insights about how God works in our lives. Elisha puts his own need aside and prefers to think of his people. Elisha relies not on what he has but on what God can do with what he has, and his gift is multiplied! If we hold on to the little that we have it satisfies neither us nor others. There was this rich lady who lived on her own and led an impeccable life as far as the externals of religion were concerned. She went to mass daily, and found little or nothing to confess when she went to confession. Eventually she died and to her horror and surprise found that she had been assigned to hell. She complained bitterly explaining how she had lived a virtuous and utterly blameless life on earth. Satan inquired of Peter and was told there was no mistake. But Peter conceded that if she could think of one single act of kindness, heaven would be open to her. The woman returned saying: "One day," she said, "as I was cooking the dinner a beggar came to the back door. He was hungry and I gave him an onion." Peter checked and found that it was true and said to Satan. "We are going to lower the onion into your department at the end of a rope. Tell her to clasp it and then we'll pull her up here." Needless to say the woman grabbed the onion and suddenly her feet left the nether region. As she was being pulled up, some of her companions, seeing the opportunity of getting out with her, clung to her. "Let go, let go," she shrieked, kicking out at them, "that's my onion." With these words, "That's my onion," the rope snapped and she fell back, with her onion, into the arms of Satan, who said to her, "That rope was strong enough to save both you and your brothers, but it was not strong enough to save you alone." The Gospel tells us that the large crowd that followed Jesus was hungry, not only for food and drink but there was a deeper hunger that Jesus was satisfying. It was Jesus who was concerned about their need and said to Phillip, "Where are we going to buy bread for these people to eat?" Jesus knew what he would do but he wanted to see what his disciples would do. For Phillip feeding the crowds presented a problem that had no solution. Phillip's attitude is often our own, each time we come across a problem. The problems are too big and we and our resources are too small, so we don't even attempt to look at the problem. We do not have the resources or the time to deal with them! Then there is Andrew, Simon Peter's brother, who sees the problem but he also sees some solution. "Let's bring what we have together and put it all in the hands of Jesus." He knows a boy who has only five barley loaves and two fish. He knows that this is woefully inadequate but he brings it all the same to Jesus. Jesus could have fed the multitude without the help of his disciples and their meager resources but He needed their involvement; he needed whatever they could offer. The same call goes out to us believers today as we face the many hungers that people around us have. Too often we are thinking of the immensity of the problem. We are ashamed of the little resources we have, not realizing that God can only work with us and through us when we know we can't manage on our own. When we share the little that we have, others share as well and God does the rest. Those without anything ended up with more than they could eat. For the past few years I had the privilege of accompanying a disabled children's picnic to Lourdes. One of the days involved a trip to the mountains for a picnic, and fun and games. Everybody is supplied with food and drink, which is packed in several large cardboard boxes. On my first trip one of the groups discovered, when they got to the mountain, that they had left all their food and drink back in the hotel. There was no chance of getting sufficient refreshments locally, so there was only one obvious solution. Those of us with food and drink examined what we had, and selected one or two items which we gave to those without food and drink. As there were many groups involved, it so happened that those without anything ended up with more than they could eat, while all the rest of us were more than happy with what we had. There was a rich man who complained to his friend thus: The people do not like me. They say I am very stingy and greedy, but I have made my will. I have willed the entire property to a charitable institution. The friend replied, "Have you heard of the story of the pig and the cow?" A pig came to the cow and complained: "People speak so well of you and your friendliness. It is true that you give milk. But they profit from me much more. They have meat and sausages of different types. Even my feet and hands they eat. Still nobody loves me as they love you. For everybody I am a pig, nothing more. Why?" The cow reflected and said, "Perhaps it is because I give while I am alive, you give, or rather it is taken away, after you are dead!" -Is it not folly to postpone the good we can do here and now for later? A priest celebrating Mass and preaching on today's gospel referred to the miracle of the loaves and fishes as a miracle of generosity. He pointed out the generosity of the boy who was willing to share what he had and then there was the generosity of Jesus himself. The priest left the altar at the end of Mass and as he was un-vesting in the sacristy an elderly woman came to enquire if anyone had left a shopping bag. She said she had brought it to church with her, but now couldn't find it. The sacristan gave her the bad news: no one had left a bag there. The priest was expecting her to say "What kind of a person would steal from another person in the house of God?" But she said no such thing. Without a trace of anger or bitterness, she said simply, "Maybe the person who took it needs it more than I do." "What was in the bag?" the priest asked. "Two loaves of bread." the woman replied. Her answer delighted the priest. But it also humbled him, because he knew that in her position he would not have been so generous in his response to the theft of his property. He was also humbled for another reason. He was preaching generosity; this woman was practicing it. Hers was generosity of the heart. An old monk prayed many years for a vision from God to strengthen his faith, but it never came. He had almost given up hope when, one day, a vision of Christ's face appeared in his cell. The old monk was overjoyed. But then, right in the middle of the vision, the monastery bell rang. The ringing of the bell meant it was time to feed the poor who gathered daily at the monastery gate. How could he leave now? What should he do - stay with his heavenly Visitor, or go to his duty of distributing help to the needy. If he failed to show up with food, the unfortunate people would leave quietly, thinking the monastery had nothing to give them that day. The old monk was torn between his earthly duty and his heavenly vision. But, before the bell stopped ringing, the monk made his decision. With heavy heart, he went off to feed the poor. Nearly an hour later, the old monk returned to his room. When he opened the door, he could hardly believe his eyes. The room was filled with heavenly brightness. There stood Christ shining as the sun, smiling upon him with divine tenderness. As the monk dropped to his knees in thanksgiving, the vision said to him, "My son, had you not gone off to feed the poor, I would not have stayed". John 6:1-21 - "Are You a Satisfied Customer?" Did you know that neon signs can be hazardous to your health? There is one neon sign that is hazardous to mine. It is the one that flashes "hot" in bright red on the window of Krispy Kreme. If you have ever eaten, some really great, hot, Krispy Kreme doughnuts oozing with that glaze that is so wonderful for your cardiovascular system, you know there are always two problems in that box of doughnuts: (1) one is never enough (2) no matter how many you eat eventually you'll always want more. For so very many people, life is just like that. There is a never ending quest for fulfillment. There are so many people in this world who have found success, but they have not found significance. This world is filled with people who are desperately trying to find purpose and meaning, fulfillment and significance in their life. The truth is when it comes to living and life, most people are not satisfied customers. It was the great philosopher, Henry David Thoreau, who once said, "The mass of men live lives of quiet desperation." Want to attract young, floundering, post-high school people to a life of faith, fulfillment, and commitment? Would your first thought be to offer that age group a solid set of "divine directives"-- aka "Four Spiritual Laws?" Probably not. Unless you were Bill Bright in 1952, when he offered that gleaming, golden nugget of insight to a new generation of spiritual seekers. But the "laws" Bill Bright proposed were far from rude and reactionary. Instead they were redeeming and revealing. And they have touched many new generations of searching young men and women, people seeking to find a direction and meaning for their adult lives. 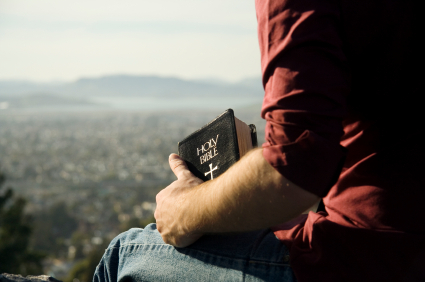 These guidelines continue to be the mainstay of the evangelical outreach of the Campus Crusade for Christ to this day. A few years ago in the city of Chicago, a crowd of community residents did something unusual. They picketed the churches in their community to do something other than have church. They picketed them to be church. They seemed to say the Christ you claim and proclaim each Sunday seems more than enough in the sanctuary, but never seems to get out in our neighbor-hoods. Why are you open only on Sunday? Need happens 24/7. There are six other days in the week, but you're closed. Only one miracle made it into all four gospels. It transpired on the grassy hills by the shores of the Sea of Galilee at a time when Jesus' popularity--and also his vulnerability--was cresting. Wherever he went, a throng that included many deranged and afflicted trailed behind. The day before the big miracle, Jesus crossed the lake to elude the masses. Herod had just executed John the Baptist, Jesus' relative, his forerunner and friend, and Jesus needed time alone to grieve. Doubtless, John's death provoked somber thoughts of the fate awaiting him. Alas, there would be no secluded retreat. A huge swarm of yesterday's multitude made the ten-mile journey around the lake and soon hundreds, even thousands of people clamored around Jesus. "He had compassion on them," says Mark, "because they were like sheep without a shepherd." Instead of spending the day renewing his spirit, Jesus spent it healing the sick, always an energy drain, and speaking to a crowd large enough to fill a modern basketball arena. The issue of food came up. What to do? There are at least five thousand men, not to mention the women and children! Send them away, suggested one disciple. Buy them dinner, said Jesus. What? Is he kidding? We're talking eight months' wages! Then Jesus took command in a way none of them had seen before. Have the people sit down in groups of fifty, he said. It was like a political rally--festive, orderly, hierarchical--exactly what one might expect from a Messiah figure. Unavoidably, we moderns read Jesus' life backwards, knowing how it turns out. That day, no one but Jesus had a clue. Murmurs rustled through the group on the packed hillside. Is he the one? Could it be? In the wilderness, Satan had dangled before Jesus the prospects of a crowd-pleasing miracle. Now, not to please a crowd but merely to settle their stomachs, Jesus took two salted fish and five small loaves of bread and performed the miracle everyone was waiting for. Three of the Gospels leave it at that. "They all ate and were satisfied, and the disciples picked up twelve basketfuls of broken pieces of bread and fish," reports Mark with masterful understatement. Only John tells what happened next. Jesus got his time alone, at last. As the disciples rowed back across the lake, fighting a storm all the way, Jesus spent the night on a mount, alone in prayer. Later that night he rejoined them by walking across the water. Philip Yancey, The Jesus I Never Knew, 175-176. In the 1988 Olympics, the world assumed that the United States would be victorious in the 400-meter relay. They simply were the best. The gun cracked and they were off and running. After the last curve the unthinkable happened. The United States was ahead by 10 meters with no real competition in sight. And then, with victory in their grasp, it happened. They dropped the baton. The thousands in the stands gasped in disbelief. The United States team--sleek, muscular, and fast as leopards, lost the race. Why? Someone dropped the baton. I would hate for us as a church to be the people who dropped the baton. What is God calling us to be and to do as God's people in this time and this place? It's not a question of resources but a question of faith. Our fear is a hump we have to get over, and we have to get over it before we can go very far with Jesus. To help an alcoholic or a drug addict, we must first get him or her off the stuff. That is the first step, the first lesson (if you will): to stop drinking or using. Only then does it make sense to talk about other things. Jesus knew that people, from the day they are born, are slaves to fear, just as much slaves as a drunkard is to his bottle or an addict to his needle. And, until we can stop being afraid, and trust God, nothing else works. We are simply too consumed by fear and worry and anxiety to think about anything else. For that reason Jesus spent a great deal of time telling us not to be afraid -- telling us directly, and acting out God's grace by feeding people who were hungry and rescuing those in trouble on the sea. God will be there when we need him. Fear not. It the first lesson in the Christian primmer, the one on which all the others build. Lance Armstrong. Going for his eighth Tour de France. His heart is nearly one-third larger than that of the average man. At resting, it beats an average of 32 times per minute, during peak performance, 200. He burns up about 6,500 calories every day for three weeks while in the race. One of the stages of the race is 120 miles long-that day he will burn 10,000 calories. You and I burn 3,500 and that’s on a good day. His lungs can take in twice the oxygen. His body fat level is 4 percent. Yours is 16. He has a weird femur bone. It’s longer than the average man’s. That gives him more torque when peddling his bicycle for 2000 miles through French mountains. This year he is older than most of the other competitors, yet it is as if he was built to ride. Looking at this man it is unbelievable that cancer struck him in September 1996. He went through brain surgery and later chemotherapy so aggressive that it destroyed some of his muscle structure, burned parts of skin, and gave him permanent kidney damage. And yet the best bicyclists in the world have chased him for years. He is the pacesetter. He is the measure by which all others gauge their success. He is the unique one. All others are taught by his example. Philip stood looking out at the masses that were now approaching. I’m not sure what was on his mind, perhaps thrilled by the success they were having. Jesus, watching over Philip’s shoulder, asks, “Philip, where shall we find bread for these people to eat?” Philips gives a realistic appraisal of the situation: Eight months wages would not be enough to feed everyone so much as a little nibble. But we are let in on a little secret. Jesus is testing and I think teasing Philip a bit here. Jesus already knows he will feed them by multiplying five small barley loaves and two small fish. Jesus is ahead of Philip. He is the pacesetter. He is out in front of them all, minutes ahead sizing up the situation providing the solutions before we even know what the problems are. He is the unique one, the measure by which all others gauge their lives. The feeding of the five thousand is a miracle on a grand scale but if we concentrate too hard on the miracle we will miss the message in the background. 1. What are we to learn from a small meal? 2. What are we to learn from this big miracle? 3. What are we to learn from the long awaited messiah? A box came in the mail the other day. It was a surprise free gift from the local power company. Or I should say two free gifts. The power company sent every one of their customers a new “low flow” showerhead, designed to cut down on water usage, but still feel like a real shower. The second free gift was four of those new curly-q fluorescent light bulbs, the kind that last longer and use less electricity while putting out the same amount of light. This small act cost the power company a few thousand dollars. But according to their figuring, in the long run if everyone replaced their showerhead and a few light bulbs, the savings would be in the tens of thousands of dollars. It was a small act, but it was a start to a big savings. Small is big. From architectural trends like “The Not So Big House,” to backyard food sources (“Fresh Food from Small Spaces”), to down-size is the new up-grade. In fact, down-sizing has become a big business. Not too long ago only a few hippie-holdout co-op markets offered a small selection of scruffy-looking “organic” fare for the few “fresh-niks” among us. Now just about every big super-market offers about as much space to certified “organic” produce as they do for the other options. Did you know you can buy all sorts of other “organic” products — ketchup, frozen pizza, macaroni and cheese mixes? What started out looking like a small and stunted sideline has become a major force in the food industry. God has an MO: Modus Operandi. God’s MO is to start small. God loves starting small, and then from small beginnings grow something amazing. From cosmic dust to a Big Bang? The next time you consider taking a sip from a fresh, cold mountain stream, remember how much the divine delights in single-celled organisms. There are millions of them floating in one glass of water. Consider how there are more insects than any other class of critters and more beetles than any other kind of insect, each fitting neatly into its particular ecological niche. Jesus carried on the family tradition. Jesus had a fascination with all things small and humble. Would it surprise you to learn that everything in your life right now is pretty much the way you made it? That from hundreds of options you chose your responses to whatever situations presented themselves? Would you agree that you have exercised the capacity to choose what you have received? If so, doesn't it stand to reason that if you made the choice in the first place, you can change it? What a powerful notion! Whatever happens to you, you can say, "I am the master of my life." But just as the good that comes to you is a demonstration of your mastery, so is the negative. Consider how hopping fleas are trained. The fleas are put into a glass jar. As they try and jump in the jar, they bump their heads on the lid. Over time, they forget they can jump and, for fear of bumping their heads, never go beyond the limits of the jar, even though the lids have been removed. Through continued failure they have become conditioned to confinement. So it is with us, if we let it be. Our self-made limitations sometimes cause us to forget that we can fly. WE RESPOND LIKE THE DISCIPLES, "WE ONLY HAVE FIVE SMALL LOAVES OF BREAD AND TWO FISH. We often needlessly confine ourselves to glass jars. We may yearn to use our lives creatively, but our invisible prisons remind us: "You can't do that. It isn't practical. You're not smart enough. It will cost too much. People will laugh at you. You're too young. You're too old. Your health won't allow it. Your parents won't allow it. It will take too long. You don't have the education." WE COULD REMEMBER THAT MIRACLES DO HAPPEN? Suppose we really believed that we are children and heirs of this magnificent universe? Would we then still allow our jars to limit us to hopping just so far and no further? Suppose we became aware that resentments, hurts, hates, grudges, illness, greed and the like are glass jars that have been, or can be, removed, that, indeed, we may be hampered by the illusion of our own self-imposed limitations? We attract to ourselves whatever our minds are focused upon. Once aware, we can change and then we will no longer be confined to that glass jar. We will be ready and able to achieve. John Marks Templeton, Discovering the Laws of Life, Continuum, 1995, 242. Capital words added. William Easum is a church leader who's dedicated his life work to helping churches thrive and engage in real mission. He thinks we ought to deal with things that get in the way of fullness of God and mission, he wrote a book called "Sacred Cows Make Gourmet Burgers". The title says a lot! He begins the book's first chapter with this statement, "Established churches worship at the feet of the sacred cow of CONTROL." Personally, one of the most often used controlling statements I've heard over the years in any church I've served is, "We can't afford it." That is merely the echo of Philip the disciple, who told Jesus there simply wasn't enough money to buy food for all those people. We don't have enough money. Or, there isn't leadership potential. Or, we just ordinary folks. Or, we can't do it. Or, we like things just the way they are. Leave us alone! I think that's what we really mean whenever we say, "We can't afford it". A minister was making a home visit to one of the younger families in his parish. A five-year-old boy answered the front door and told the minister his mother would be there shortly. To make some conversation, the minister asked the little guy what he would like to be when he grows up. The boy immediately answered, "I'd like to be possible." "What do you mean by that?" the puzzled minister asked. "Well, you see," the boy replied, "just about every day my mom tells me I'm impossible!" What seems to be impossible in your life these days, my friend? Some task you are facing in your personal life? Or maybe as you look out on our weary world and society today, you are prompted to ask, "Who is going to accomplish all the things that seem so impossible in our world today?" In such times Jesus Christ is asking you and me to join with him in being partners in the impossible. To his friend and follower, Philip, Jesus says, "Where can we buy enough food to feed all these people?" An impossible task, indeed! But as we look at this question of Jesus in the Bible this morning, let's try and take hold of the encouraging truth that emerges, and it is this: Christ never asks us to do the impossible unless he himself provides the power and resources to get the job done. So today let us confidently answer his call, for he is our divine partner in doing the impossible.